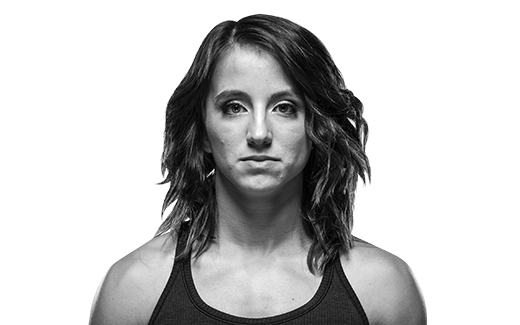 Watch Maycee Barber in the Octagon after her victory at Fight Night Denver. 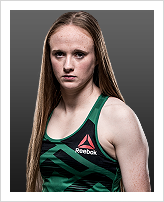 Only 20 years old, Maycee Barber earned a UFC contract on Week 5 of Dana White's Tuesday Night Contender Series. 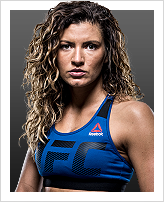 Don't miss her UFC debut and Fight Night Denver in November. Watch as Dana White hands out three contracts during Week 5 of Season's Dana White's Tuesday Night Contender Series. Thoughts on opponent, Jamie Colleen? 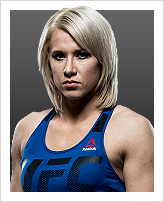 Jamie's a strong standup fighter and a tough competitor who will be broken on July 17th. When and why did you start training for fighting? I started in martial arts (karate) at the age of three and later transitioned into jiu-jitsu when my family opened our own martial arts school in 2010. From there, I started competing in jiu-jitsu competitions. At 18, I took my first amateur MMA fight and turned pro right after. What would it mean for you to fight in the UFC? 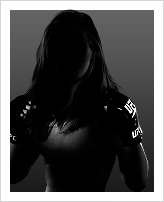 It would mean that I have made another step towards making my goals my reality and towards being a pro female athlete that will become a household name.